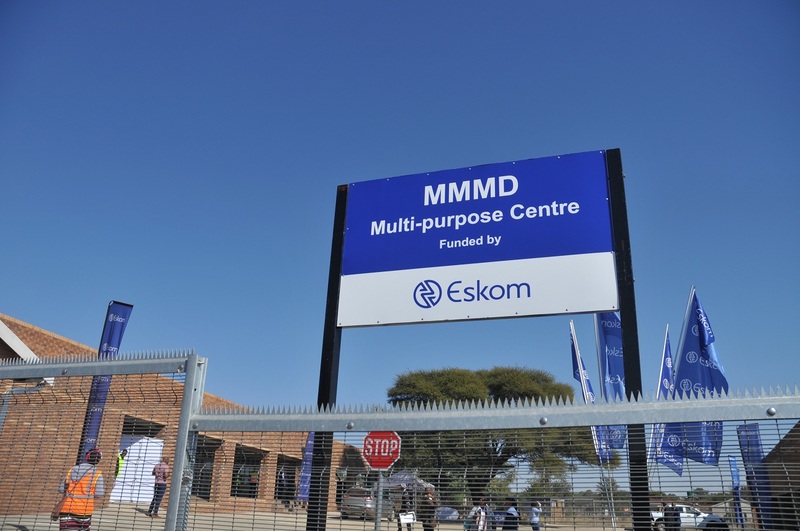 The Minister of Public Enterprises, Ms Lynne Brown and Eskom Chairman, Dr Baldwin Ngubane officially opened and handed over the MMMD Multi-purpose Community Centre yesterday at Mokgalwaneng Village in Northam, North West. The centre will benefit community members from the neighbouring villages of Mokgalwaneng, Matlametlong, Matsinyane and Disake (MMMD), which it is named after. 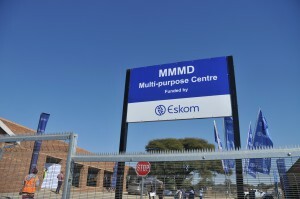 The centre, which boasts various facilities, was built by the Eskom Development Foundation as part of its corporate social investment (CSI) programme. The Foundation’s scope of work in building the centre included the construction of a community hall that can accommodate 600 people, the construction of four offices for the four villages’ tribal authorities, a sewing centre, a computer centre, a guardhouse, an ablution block as well as the paving and fencing. The Foundation also provided equipment and other items for the centre which included computers, wiring and installation, Wi-Fi connection, printer, sewing machines, tables, office furniture, chairs for the community hall, benches and a podium. The donation forms part of Eskom’s commitment to bringing about meaningful and sustainable development in South Africa’s communities. Eskom supports government’s continued efforts to improve socio-economic and community development. Speaking at the handover, Dr Ngubane said that Eskom is committed to making a difference in communities in pursuit of their goal of finding long-term and sustainable solutions to the country’s many challenges. “At Eskom, we consider ourselves as more than just an electricity provider. We see the upliftment of communities, especially the previously disadvantaged ones, as an important part of doing business. 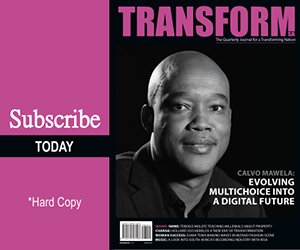 We want to see development in all the communities where we operate and even though we cannot do it all or do it alone, we continue to make a contribution so that communities are better off and the standard of living is improved for everyone,” said Dr Ngubane. “We must get the sewing group growing so we get to a place where it’s making the school uniforms of all the children in the community. We should be able to clothe and feed our community. We should be able to build our community. This is an important part of what this centre means,” said Minister Brown at the event.